NEC 1.25 mm CLD direct view indoor LED displays provide crystal clear images for the ultimate visual experience through 24bit processing and color matched LEDs. 1.25mm CLD is a direct view indoor LED displays provide crystal clear images for the ultimate visual experience through 24bit processing and color matched LEDs. 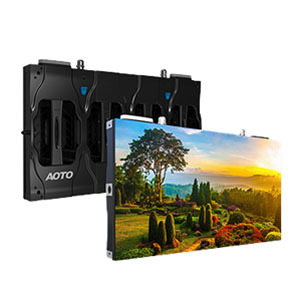 Optimum display resolution can be achieved regardless of viewing distance with pixel spacing options from .93mm to 3.1mm; plus, the front and rear serviceable panels allow easy access and quick maintenance when needed. Designed for vibrant and colorful HDR content visualization, the CLD direct view indoor LED series is the ideal solution for auditoriums, reception areas, retail stores, control and meeting rooms, museums, broadcast studios and airports or train stations. NEC offers full design & planning services plus post installation support, ensuring you get a custom tailored solution allowing you to focus on what’s most important your business.